Trouble at’ Mill are a popular folk band who hail from right here in the village of Gregson Lane. The band are available as a duo – Graham and Bernadette or as a band (three or four-piece) for larger occasions. 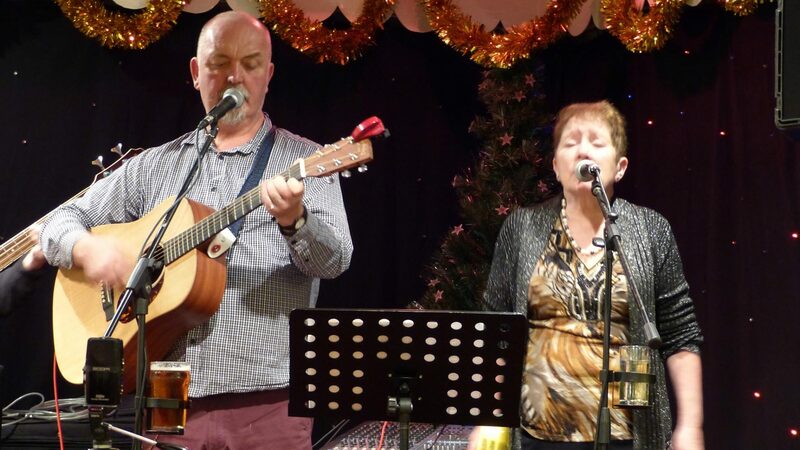 The fact that Graham & Bernadette have, for the past 25 years, been organisers of the very popular Gregson Lane Folk Club is testament to their dedication & enthusiasm in both performing and promoting folk music. The band are very busy and always have a full diary with gigs in theatres, village halls, pubs, clubs and even shopping centres. These activities quite often involve giving ‘Joe Public’ his first taste of live Folk Music and consequently explaining about the delights of going to a Folk Club to see more of the same. Unashamedly concentrating on the ‘popular’ folk songs, Trouble at’ Mill always place the emphasis on entertainment and make a point of not taking themselves too seriously. Their goal is to send the audience home with both, a smile on its face and an urge to seek out more live folk music.